: With a catastrophic storm on its way, one man is given a monumental task: build a boat big enough to save his family from a flood that will cover the entire earth. But they won’t be alone. Returning for one season only, this landmark production takes you on board one of the world’s best-known voyages, as live animals fill the stage and aisles. 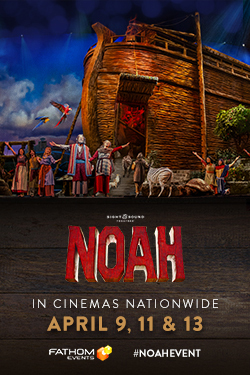 Set sail inside the enormous ark as this extraordinary Bible story comes to life all around you!